Money clips do not merely hold money. Unlike, say, wallets, money clips are sophisticated, functional art. 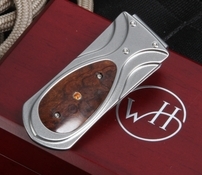 A high-quality money clip signifies refinement, taste, and perhaps even masculinity; it is a status symbol. 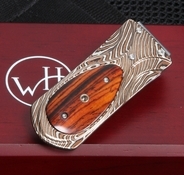 A money clip is, therefore, a perfect give for fathers, bosses, clients, coworkers, business executives, or any man who demands functionality as well as practicality. 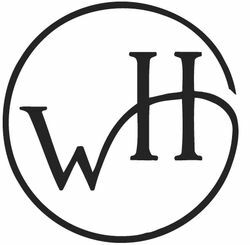 William Henry Studio is an American luxury brand that is devoted to combining the functional and beautiful. Because W.H. 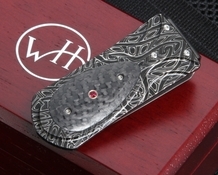 's money clip wallets are produced as limited editions, an owner of one of these clips will feel pride in carrying a piece of art that is his alone; a W.H. 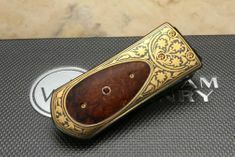 money clip showcases its owner's personal taste. It's something he will want to cherish and pass down through generations. W.H. 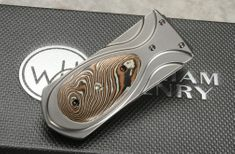 money clips boast some of the finest materials and levels of craftsmanship on the market - titanium, gold koftgari, Damascus steel. 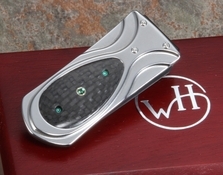 Each element of the clip enhances the design, materials, or durability. 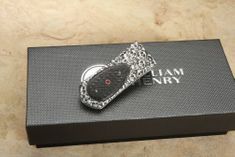 Each comes packaged in a presentation box with a certificate of authenticity.